Mirna Valerio will run her tenth marathon on Monday as part of a group of teachers running the Boston Marathon. Mirna Valerio has finished 10 ultramarathons and nine marathons. She is sponsored by a handful of sports companies and wrote her first book this past fall about her journey as a plus-sized athlete. Last month, she was declared one of 2018's trailblazing "Adventurers of the Year" by National Geographic. And on Monday she'll run her first-ever Boston Marathon. "And it's probably going to be my last, because I don't know that I'll have the opportunity again," she jokes. "I'm slow as hell." 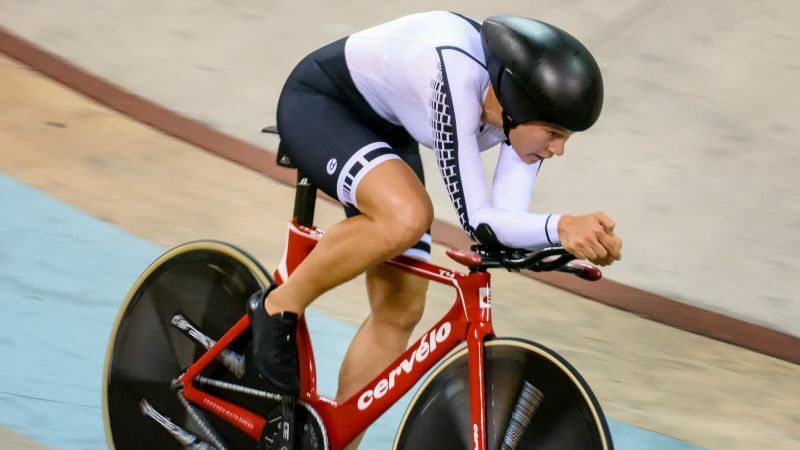 She was invited to run as part of a team of teachers from around the country, and since the qualifying times for Boston are notoriously difficult, there was no way she was going to say no to a chance to run among the elite in the sport. "I have to pinch myself every day that this is my life." For her, this is another opportunity she never imagined she'd have. It's another chance, on a bigger stage, to challenge herself and to help others see what they're capable of too -- no matter what anyone else thinks. Who cares if someone else says she's slow? Or doesn't deserve to be there? People have said both things to Valerio. It never occurred to her, though, not to run. "I was just doing my thing and I never cared what other people thought," she says. In the process of doing her thing, she has garnered thousands of fans who are inspired by the way she is changing the stereotype of what runners have to look like. 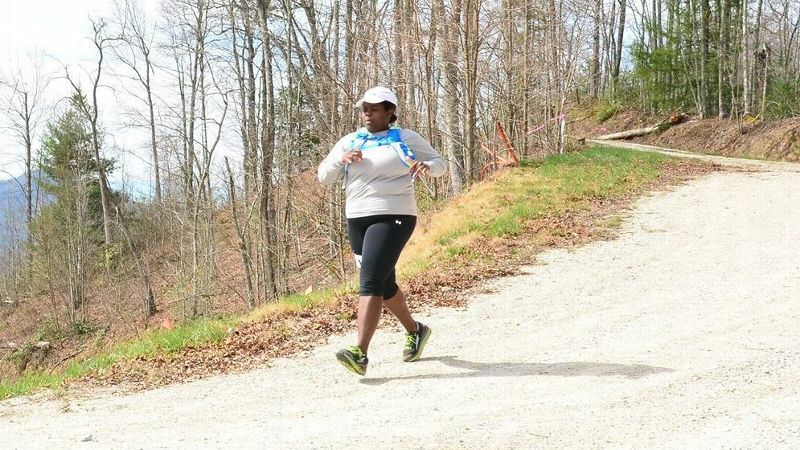 It's not often you see black women at trail races in Georgia, where she lives and teaches at a boarding school in Rabun Gap. 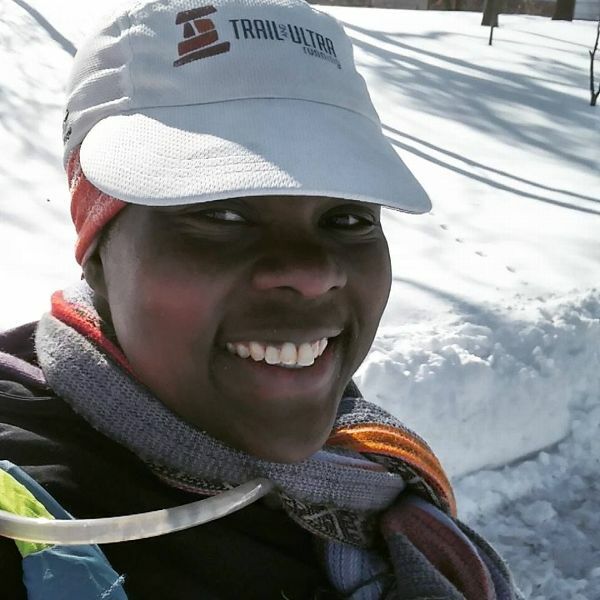 And it's definitely not often you see black, female, plus-sized runners tackling events like the TransRockies Run, a six-day, 120-mile race through Colorado. Even though she made it through only two stages of the six days, this year she plans to go back and try her hardest again. Because that's what she wants to do, and she wants you to do your thing too. Mirna Valerio's goal for the Boston Marathon: A time under 6 hours. "Let's give people permission," she says -- permission to be whoever you are and push yourself however you want. Valerio has always been active, even if it wasn't always as a runner. Growing up in Brooklyn, New York, she never had self-esteem issues about her size, she says. Instead, she was encouraged by her family and coaches. 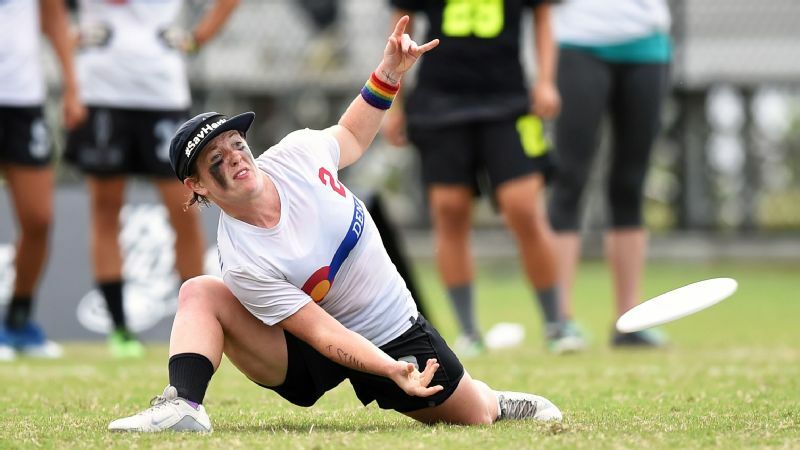 She played lacrosse and field hockey in high school, at an all-girls boarding school in New York, and ran as part of practices. She sang, attending Juilliard on the weekends during school and earning a music scholarship to Oberlin College. But, like so many people do, she gradually fell out of shape as life got in the way. She took a job at her old boarding school and then at another boarding school, eventually accepting a position at Rabun Gap-Nacoochee School, where she works now. Somewhere in there, she says, she also put on an unhealthy amount of weight and so she started running again -- at first just to lose some of the extra pounds. She started writing about it on a blog she called "Fat Girl Running." And this time, running -- just for the love of it -- stuck. It was the trails that did it for her. She simply loves moving along the trails, out in nature. It turned out, the longer she was moving, the better she got. At the finish line of her first trail marathon, the race director looked her in the eye and said, "Next year, you're doing the 50K, right?" She had never thought she might be able to run 50 kilometers before, but the next year she was out there moving along even farther. "I definitely found a home on the trails here," she says. Now, she's up at 4:30 a.m. to run, either on her own or with a colleague. Then it's shower and coffee, and time to wake her son, Rashid who is 14. (Her husband, Cito Nikiema, is in Burkina Faso currently for work.) During the day, Valerio teaches Spanish and choir. She's also the director of equity and inclusion and coaches the school's cross-country team. Then, most days, there's another workout -- either a run or cross-training -- dinner and taking care of her increasing number of media obligations, writing and blogging. It's pretty much the schedule of any regular busy working mom and runner. The major difference is that in the past few years Mirna Valerio has also become "The Mirnavator" -- the name of a film produced by REI about her life, and the name she gives her website and Instagram feed. "When I first met her, I had no idea she was the Mirnavator," says Edgar Zavala, who works and runs with her at the school. In fact, at first, he didn't even know she ran every day. But now, she's the first person he goes to for encouragement and running advice for his own races. And he'll be tracking her on Monday as she goes after a marathon personal record in Boston -- a race he dreams of running one day too. For now, he gets to live and learn through her. "It's not about going fast or going slow. It's about taking the best out of you and taking that wherever you go," he says. "She carries that everywhere. She's just an incredible person and an inspiration." Over the past few years, as Valerio became a model for other women trying to find their own place among a running crowd that can be intimidating, she also found herself at the center of complicated debates over health and body weight. "I feel great," she says. "If I'm concerned about my health, it's about my level of stress." All the work of being The Mirnavator does take its toll: the obligations, the travel, the emails telling her she must be lying about how healthy her diet is or how far she runs, that there's no way she could be the weight she is and complete those distances. She's learning to ignore it, to just do her thing. Anyway, running never asks anything of her, other than her best. "I always have the trails to go back to," she says. After this school year, she'll be working full-time as a freelance writer and speaker. She'll also be moving back closer to her family, partially so she can be an influence for health in their lives too. Her mom recently announced she wants to do the obstacle-course race Tough Mudder, just like her daughter. But first, on Monday, she needs to do her thing to the best of her ability. To prepare for the marathon, Valerio started working with a coach for the first time and spent the past few months doing some of the hardest training she's ever done, she says. Now, she's hoping it'll all pay off in her first sub-6:00 marathon on one of running's most famous courses. She knows lots of people will be watching, amid the crowds of tightly wound elite runners, to see what this woman who doesn't look like a typical runner can do. All she knows for sure is that she will just keep running.